completely remodeled, king size bed, TV with blu ray, surround sound, netflix, and wifi ready. Our condo was completely remodeled in 2013. 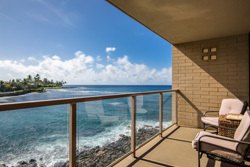 It is a third floor ocean view condo. We chose this spot because of the spectacular location. Steps to the beach, and views of the ocean and mountains. Now we are in love with the property for its intimate, quiet setting. We come here to get outdoors, and to relax and unwind in our comfortable, beautiful space. We hope that you will book with us and enjoy the same memorable experience. A few details about the unit. 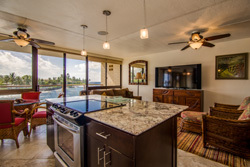 The brand new fully equipped kitchen has granite countertops, custom cabinets, and stainless steel appliances. 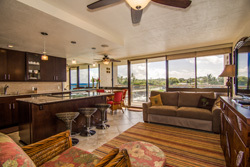 The open floor plan is perfect for enjoying the ocean views. 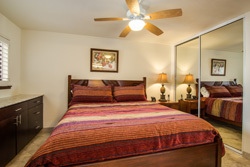 The master bedroom has plantation shutters, a king size bed, wall mounted TV, and a ceiling fan. There’s an ipod alarm clock doc to charge your phone and listen to music. 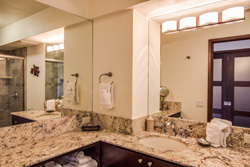 The new bathroom has granite counters and a large walk in shower. Our pull out sofa is the highest quality available, American Leather brand, it has a queen size memory foam mattress. A no springs design that is truly comfortable. There's a 60" TV with surround sound, cable and Netflix. Free High speed internet and local phone service as well. There are 2 fans in the living area, and custom solar shades on the large slider doors for privacy. 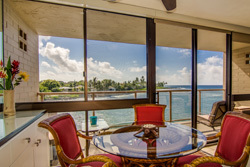 Finally, there's a spacious lanai with comfortable seating to enjoy your morning coffee, evening sunsets, and sea turtle watching. We have everything you'll need. Coffee pot and grinder, blender, hair dryer, iron and ironing board, cooler, beach mats, umbrella, beach towels, and more. 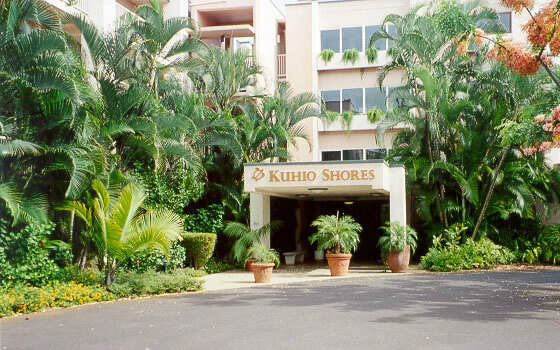 Our condo is the perfect retreat. 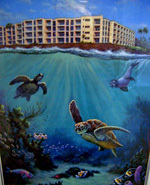 We are steps away from the islands best snorkeling, and best dining. So whether you're coming to actively explore , or relax and unwind, 307 is the ideal vacation destination.